"Even if it's only 0.001 percent of the time, when a coyote threatens or attacks a person or a pet, it's national news, and wildlife management gets called in," said first author Christopher Schell, an assistant professor at UW Tacoma. "We want to understand the mechanisms that contribute to habituation and fearlessness, to prevent these situations from occurring." 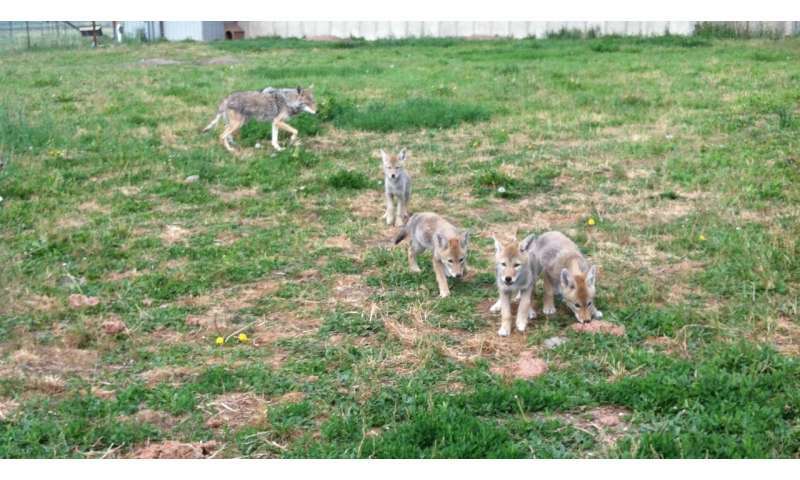 The study, done as part of Schell's doctoral work at the University of Chicago, focused on eight coyote families at the U.S. Department of Agriculture's Predator Research Facility in Millville, Utah. The research center was founded in the 1970s to reduce coyote attacks on sheep and other livestock. Until the 20th century, Schell said, coyotes lived mostly in the Great Plains. But when wolves were hunted almost to extinction in the early 1900s, coyotes lost their major predator, and their range began to expand. With continuing landscape changes, coyotes are now increasingly making their way into suburban and urban environments—including New York City, Los Angeles and cities in the Pacific Northwest—where they live, mainly off rodents and small mammals, without fear of hunters. "Instead of asking, 'Does this pattern exist?' we're now asking, 'How does this pattern emerge?'" Schell said. "For the first season, there were certain individuals that were bolder than others, but on the whole they were pretty wary, and their puppies followed," Schell said. "But when we came back and did the same experiment with the second litter, the adults would immediately eat the food—they wouldn't even wait for us to leave the pen in some instances. "Parents became way more fearless, and in the second litter, so, too, were the puppies." 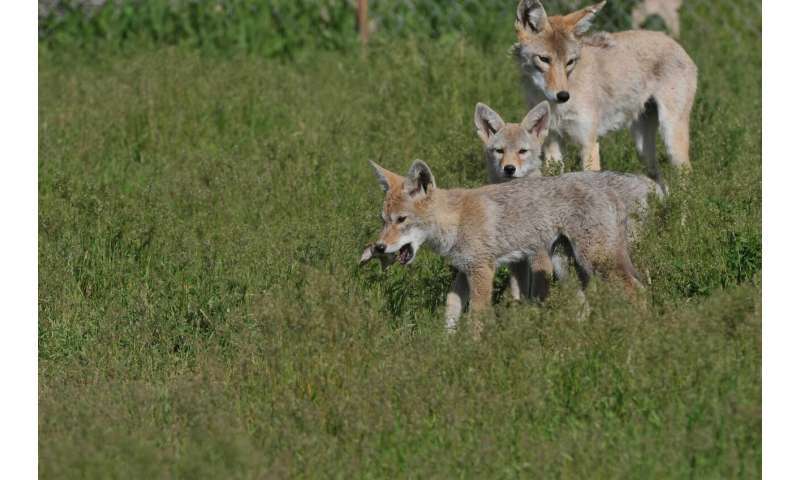 The study also looked at two hormones in the coyotes' fur—cortisol, the "fight or flight" hormone, and testosterone. The second litter of pups had mothers who experienced more stress during pregnancy, due to the researchers' presence during the experiment, so that may have affected their development in the womb. But hormonal changes do not seem to have been passed down in that way. 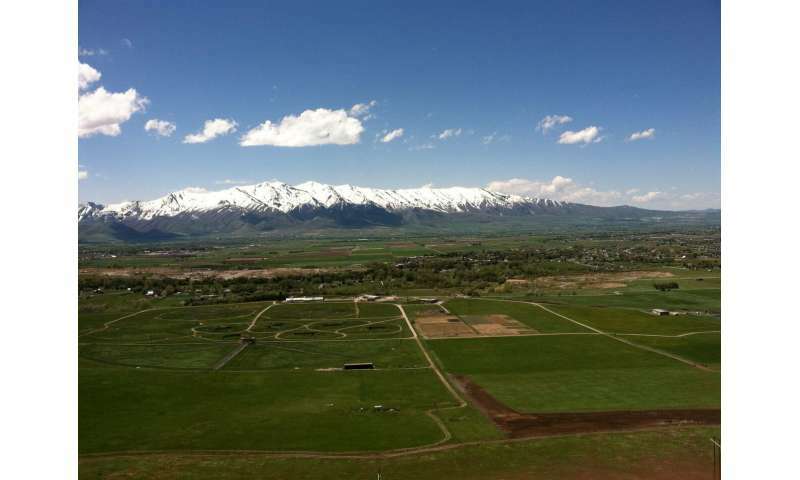 "The discovery that this habituation happens in only two to three years has been corroborated, anecdotally, by evidence from wild sites across the nation," Schell said. "We found that parental effect plays a major role."